Your smile is one of your greatest assets and is often the first thing people notice about you. If you feel self-conscious about your smile or are just ready to freshen up your look, our team is here to help. We’ll bring out the natural beauty of your smile with affordable, effective cosmetic dental treatments. Dental bonding is a quick, convenient treatment we can use to immediately improve the look and feel of your smile. Using a tooth-colored resin, we can correct a number of issues like cracks, chips, stains, and minor shape or alignment problems. It’s extremely affordable and can often be completed in a single visit. Invisalign® is the modern orthodontic solution that takes the pain and embarrassment out of straightening your teeth. Unlike traditional braces, our clear aligners straighten your teeth quickly and discreetly, allowing you to show off your smile throughout your treatment plan. 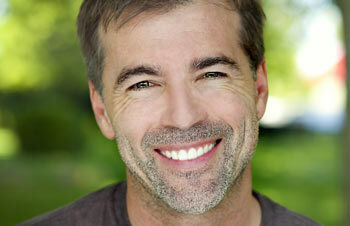 Teeth whitening is one of the easiest ways to dramatically improve your smile and your self-confidence. We offer convenient take-home and in-office whitening treatments in both our Oelwein and West Union offices. With powerful solutions designed to make your teeth shine bright, we’ll get you on the path to the smile of your dreams. For patients with deeply stained or damaged teeth, dental veneers are the perfect treatment option. Veneers can give your teeth the dazzling appearance you want in just two appointments. With custom-crafted veneers and innovative treatment plans, we make the entire process quick, effective, and easy. If you’re ready to discover the difference that cosmetic dentistry can make for your confidence, your personal relationships, and your career, you’ve come to the right place! Schedule your appointment today to learn how we take smiles from dull to dazzling with affordable, effective treatments designed to fit your unique needs.